Here you can order your bottle sets. 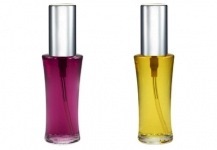 This stunning selection of bottles provides you with the essential ranges of Round Bottles and Essence Sprays, which you can use for many purposes. If you would like set of Essence Sprays to use at home I have organised this section for quick and easy clearing and shifting. If you are drawn to buy any round bottle sets please email or call me for more information for prices and shipping..